For those anxiously awaiting the launch of iPhone 5, be prepared to wait slightly longer. According to the well connected AllThingsD, a branch of the Wall Street Journal, iPhone 5 will launch in October, and not September as some prior rumors suggested. An October launch date actually doesn’t surprise me at all, because it is extremely unlikely that Apple would release iPhone 5 and not ship it with iOS 5 pre-installed, which is due for a release in Fall. As I’ve mentioned before, Fall doesn’t begin until September 23, making it virtually impossible for an iPhone 5 to be available before then unless Apple is ahead of their own announced schedule. It is also possible that Apple will host an event unveiling the device in late September, with the actual product launch and availability beginning in October. AllThingsD’s source “offered no details on the device’s design” but various details about hardware have emerged through other rumors. Most say the device will have a dual-core A5 CPU and higher res camera, while others suggest there will be an all new design and larger screen. Along those lines, various accessory manufacturers are already building cases and screen protectors for iPhones that are unlike any existing models, but it’s unclear whether they are basing those accessories on real schematics or just their own speculation. 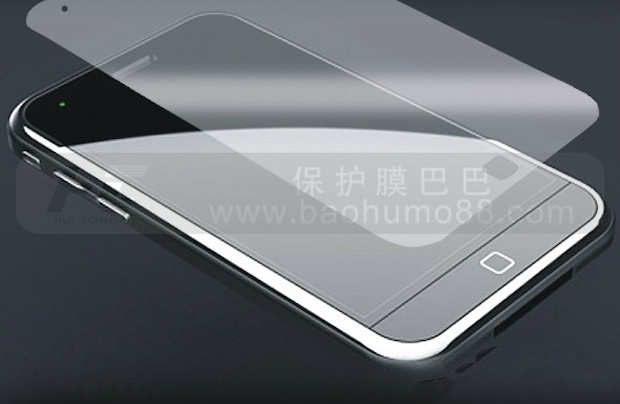 One such alleged iPhone 5 design is shown at the beginning of this post, which shows a unique looking device with various design cues from prior iPhone models. My 3GS is struggling and the wait is killing me. @tianrl: You are SO right about that… the improvements from 4 over 3GS just weren’t enough to make me upgrade. Now, the Apple Gods might hate me for this, but if the iphone doesn’t have a screen at least 4″ big (please, make it 4.3″!! ), I’m seriously considering moving over to android. Honestly, making a call is the last thing I use my phone for, and the current size of iphone screens is a sad joke on us.